Being confined to a wheelchair can be detrimental to several aspects of daily life but at the very least, you’ll want a comfortable ride. There’s no shortage of off-the-shelf products to accommodate wheelchair users of all sizes yet even with custom modifications, it can be a struggle to find a perfect fit. In lieu of a one-size-fits-all chair, London-based design agency Layer is turning to technology to make that myth a reality. 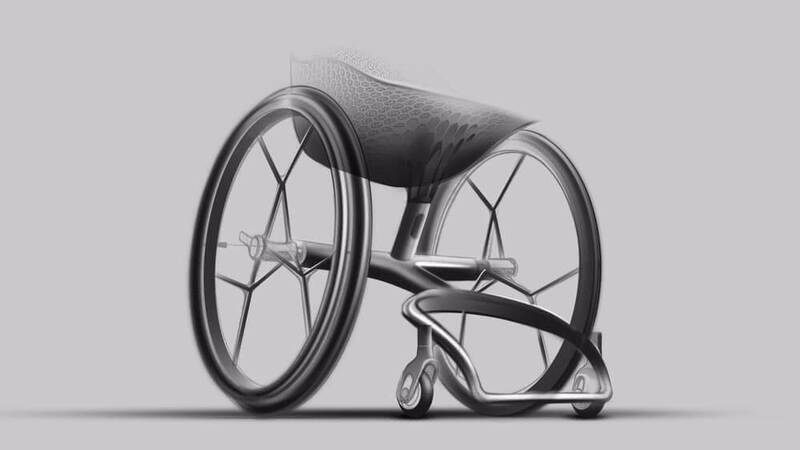 Having worked with doctors, wheelchair users and 3D printing software maker Materialise over the past six months, Layer has come up with a custom wheelchair that utilizes 3D printing to create the best possible fit. The GO chair is lightweight, functional and attractive – all of the things you’d want in a wheelchair – but with a custom touch. By mapping a user’s body, they’re able to 3D print a custom seat and footrest that's unique to each person. The user’s weight as well as leg length and foot shape are all taken into consideration in order to obtain the best center of gravity. Shifting the center of gravity just a small amount can have an adverse impact on a chair's handling and safety. The seat is constructed from a combination of a semi-transparent resin and thermoplastic polyurethane (TPU) plastic that aid in shock absorption while the foot rests are made of titanium. As anyone that has spent an extended amount of time in a chair can attest to, getting these components right is absolutely critical. Layer plans to unveil its prototype GO chair during Clerkenwell Design Week in London later this month.